Need some baby shower gift inspiration? Love to make handmade gifts? 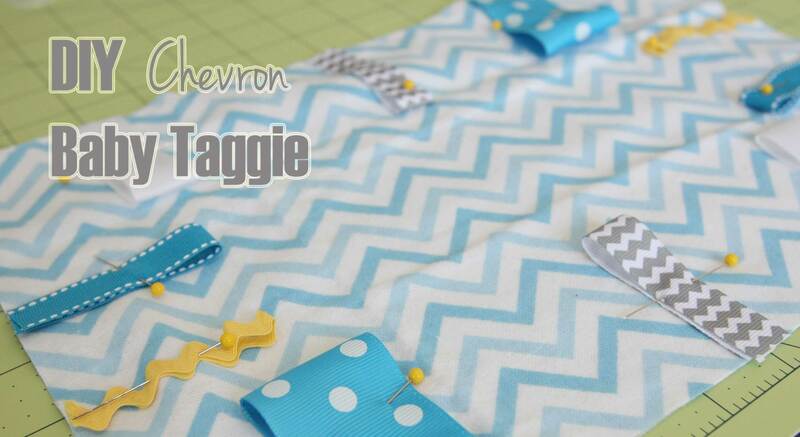 Try making a baby taggie for the new arrivals with materials you may already have in your craft room. Sensory play gifts are not only cute, educational for the baby as well. 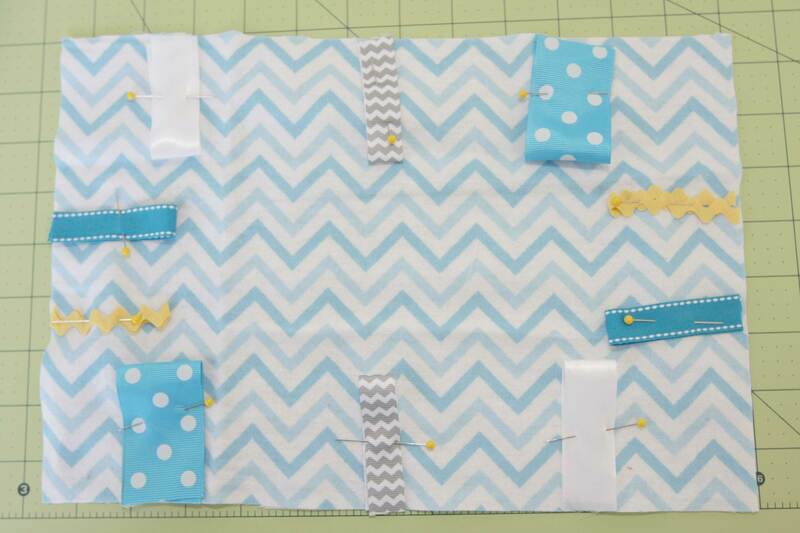 Cut fabric in 14 X 14 squares (if your remnant isn’t 14 inches…improvise!) I bought my fabric from the remnant bin at Joann Fabric for 50% off. All the ribbons are from my craft collection at home. 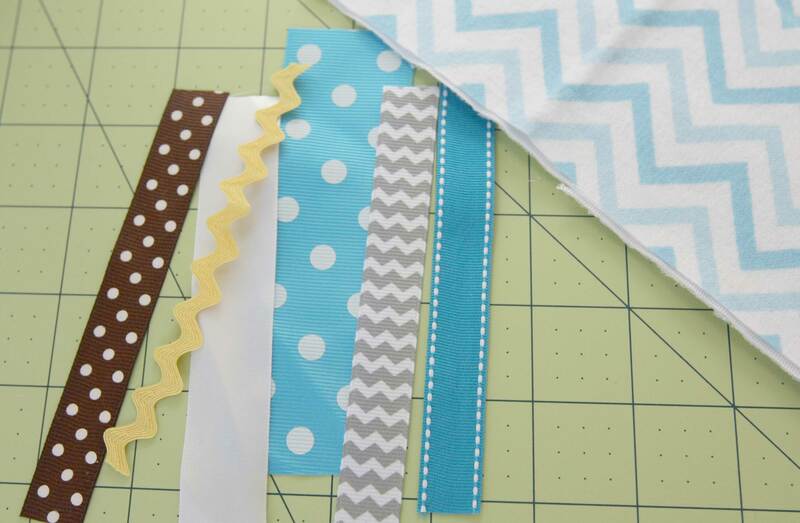 Cut your ribbons to five inches each. Fold them in half. 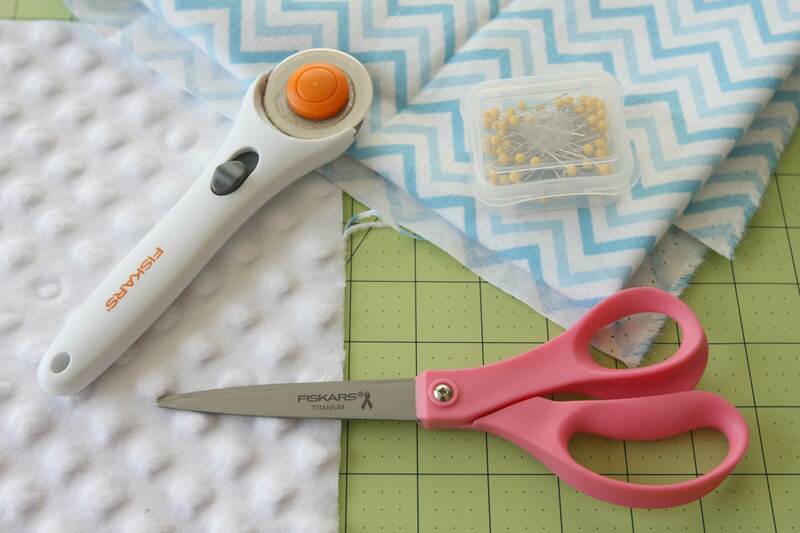 Pin ribbons around one of the pieces of your fabric. 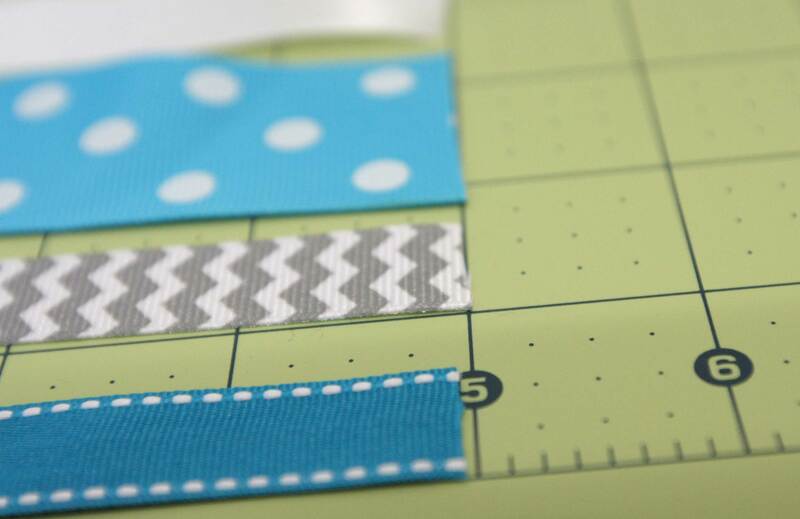 Top the ribbon fabric with the second piece (make sure the side you want shown is on the inside). Secure it together with pins. You are going to flip this inside out after it is sewn together. Make sure you have it pinned the right way.